N-519 Eurocopter (Aérospatiale) SE3130 Alouette II MSN 1138, Republic Aviation Corporation - United States of America - Photo Daniel Liron collection. N-519 Eurocopter (Aérospatiale) SE3130 Alouette II MSN 1138 (with torpedos), Republic Aviation Corporation - United States of America - Photo Daniel Liron collection. 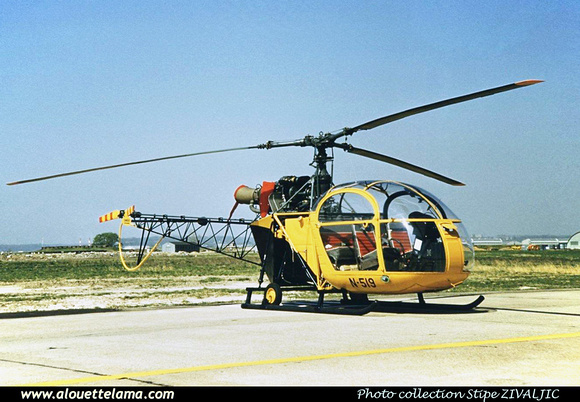 N-519 Eurocopter (Aérospatiale) SE3130 Alouette II MSN 1138, Republic Aviation Corporation - United States of America - Photo Stipe Zivaljic collection.